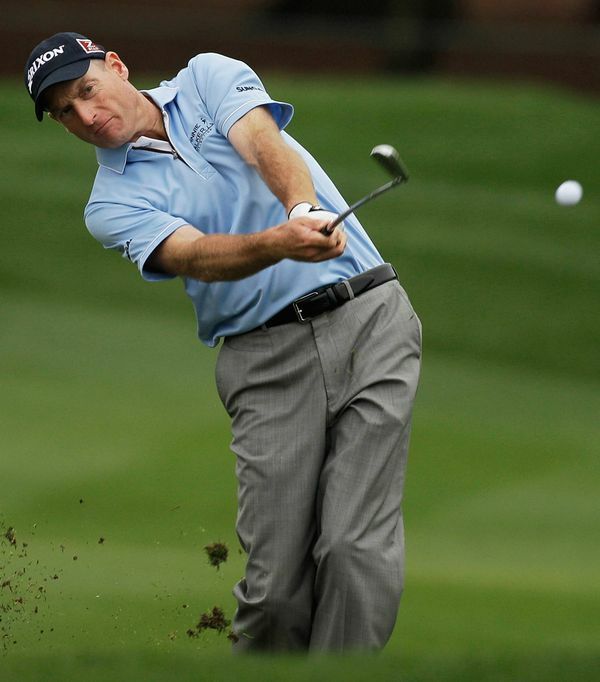 James Michael Furyk was born on the 12th May 1970 in West Chester, Pennsylvania USA, and is a professional, whose successful career has made it the main source of his net worth. His career as a pro golfer began in 1992, and ever since then he has competed successfully at the highest levels of the game. Have you ever wondered how rich Jim Furyk is? According to sources, it is estimated that Jim Furyk`s total net worth is $50 million, an amount earned through his successful career as a pro golfer, winning 17 PGA Tournaments as well one Major title, the US Open in 2003. Furthermore, he has added a substantial amount through the sponsorships he has acquired during his career. Jim grew up in Pittsburgh, learning about golf and playing it with his father, who was a club professional golfer in his days. Jim attended Manheim Township High School, situated in Lancaster County, where he excelled in various sports, including basketball and golf. He then enrolled in the University of Arizona in Tucson, where he continued to develop his golf skills as he played for the college team, eventually leading the team to their first NCAA title in 1992. During his college career, he was named All-American twice. Jim’s professional career began later that year, joining the NIKE Tour. His first tournament title came in 1993 at the NIKE Mississippi Gulf Coast Classic. He broke into the PGA Tour in 1994 and ever since has been very successful. Between 1998 and 2003 he won at least one Tournament a season, which is the second best streak, beind Tiger Wood`s 11 seasons. Over the course of his career, Jim has a total of 27 wins, which have added a significant amount to his net worth. He has only won only the one Major title, the U.S Open in 2003, nevertheless, in 2010 he was named the best PGA Tour Player Of The Year and PGA Player Of The Year, and he was the FedEx Cup champion that year too. His career stagnated for a bit, as his 2004 season was cut short due to a wrist injury and surgery. However, he returned to the course in 2006, won his first Vardon Trophy and finished the season in second place on the money list, earning around $5 million. Overall, his career is rather successful, as can be seen from his the amazing 380 weeks in the top 10 of the Official World Golf Ranking between 1999 and 2015. Adding to his net worth and career, he has also been a member of the American National team, competing in the Ryder Cup against Europe on several occasions from 1997 to 2014, and winning with the team in 1999 and 2008. Furthermore, he has competed in the Presidents Cup against the rest of the world, winning five times. This has as well benefited his overall net worth and popularity. His latest accomplishments include the victory over Kevin Kisner at the RBC Heritage cup. To talk about his personal life, Jim Furyk has been married to Tabitha since 2000, with whom he has two children.